Amit Lamba Studies your Birth chart Horoscope and will offer you specific genuine gemstone guidance based on the planets in your horoscope or Kundl You can also avail of the Gemstone Report which will offer you complete gemstone guidance . I promise to Offer Best 100% Genuine Certified gemstones to help you overcome your problems and succeed in Life . Yellow Sapphire is the Precious Gemstone for Planet JUPITER . Jupiter is a natural benefic planet and represents good fate and fortune, divine guidance, divine grace, education, power of speech and knowledge. This planet also represents continuation of the family tree, power of mantras, and guidance from Guru or preceptors, and provides fame and public acclaim. For persons born in the Sign of SAGITTARIUS AND PISCES, Yellow Sapphire or Yellow Topaz is a very Auspicious Gemstone to wear as it protects the Individual and also ensures a Long and a happy life. 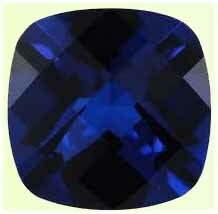 NEELAM Blue Sapphire is the favorite Precious Gemstone of SATURN. As per Vedic Astrology It is Said that anyone who worships Shani and wears a neelam , can get the Blessings of Lord Saturn and in turn SHANI has the power to turn a poor man into a crorepati in a very Short period of Time. Long-term ( based on the weak planets in your birth chart , Gem stones can assist you to charge up the weakness of any particular planet in your chart) . Emerald or " PANNA " is a gemstone for The Planet MERCURY. RED CORAL Gemstone Plays a very Important Role in the Lives of Persons of Persons born in the given Ascendant namely " ARIES ", " CANCER " , "LEO " "SCOPRIO " and AQUARIUS . GOMED – HESSONITE GEMSTONES BIRTHSTONE . Gomed Enhances the Positive Effect of Planet " RAHU " The powerful presence of "RAHU " in the horoscope blesses the native with a gain and fame in the business of Iron ore, Chemical products, leather, oils , commission agents, lottery , wine Etc. Wearing a GOMED at the time of Mahadasha or Antardasha of " helps in a native to get rid of the tribulations caused by the malefic "RAHU ". RUBY – MANIK GEMSTONE BIRTHSTONE . 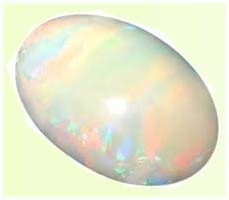 Pearl or Moti Gemstone Plays a very Important Role in the Lives of Persons of Persons born in the given Ascendant namely " ARIES ", " GEMINI " LIBRA " and "SCOPRIO "
The moon influences human mind very much. The Pearl gemstone should be worn by those persons who find themselves always in a Hot temper. Pearl gemstones pacifies passions and mental inconsistency and strengthens the heart. Cat's-eye is a gemstone for Planet Ketu. Cats Eye gemstone comes from the gem mineral chrysoberyl. Cat's eye is found in yellow, black, dark or smoky-green, and white. According to Indian astrology Cat’s Eye gemstones symbolize "KETU ". It is known as Lehsunia or Vaiduria. Cats Eye is best recomended to be worn when a person is running through the ketu dasa or Ketu Sub Dasa of his life . Genuine Cat’s Eyes are very effective and immediately start providing results to its natives passing through the Difficult ketu Dasa.Some astrologers say that Cat’s Eyes are useful for controlling spirits, dark magic and other unearthly things.